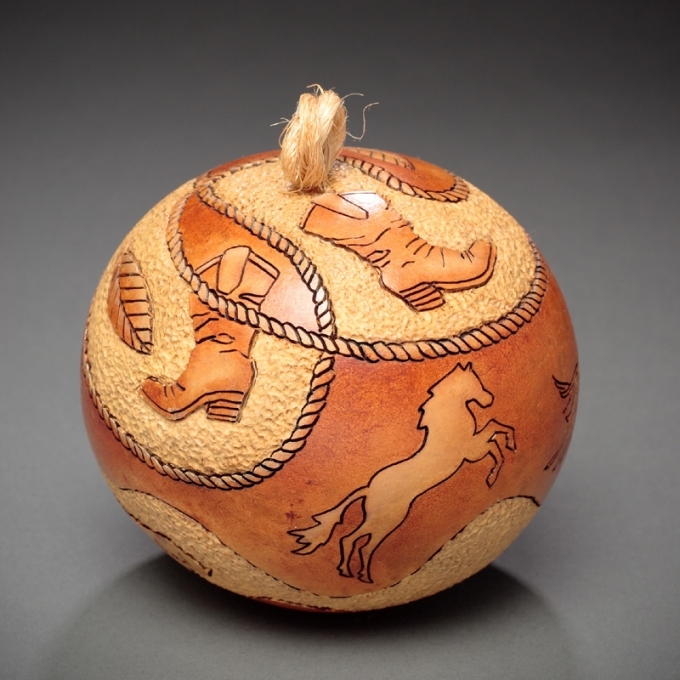 While working on several art projects we just came across an idea to work a bit on gourd art. To some of you this might be an entirely new task but to many this would be something that they are already familiar with. 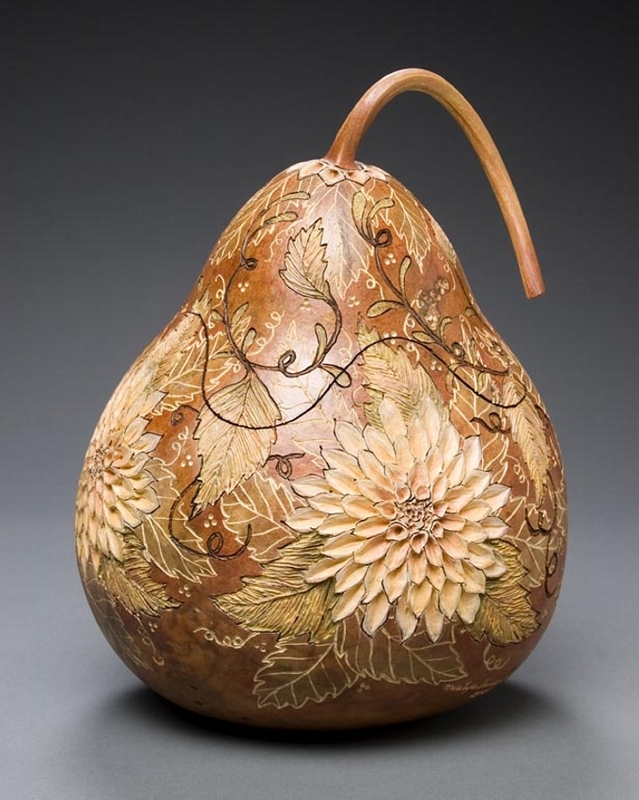 Gourd is basically green in the field, but after they are harvested they slowly dry out to turn into a hard woody shell that renders you a lot of art and crafting possibilities. 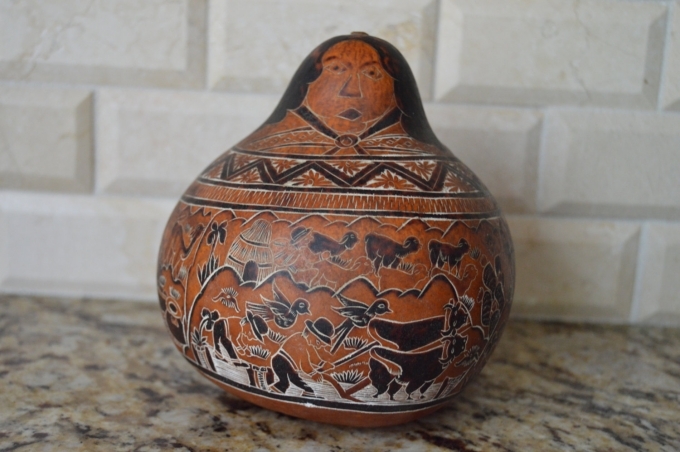 Finding them isn’t at all a hard task, you can find them at farmer’s markets in the early fall or also online. 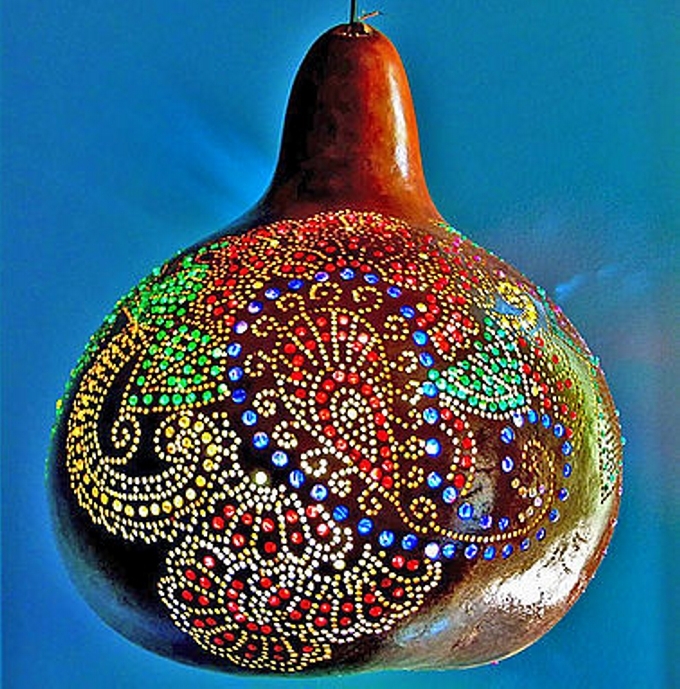 So grab your piece and try this amazing art craft using the gourd. 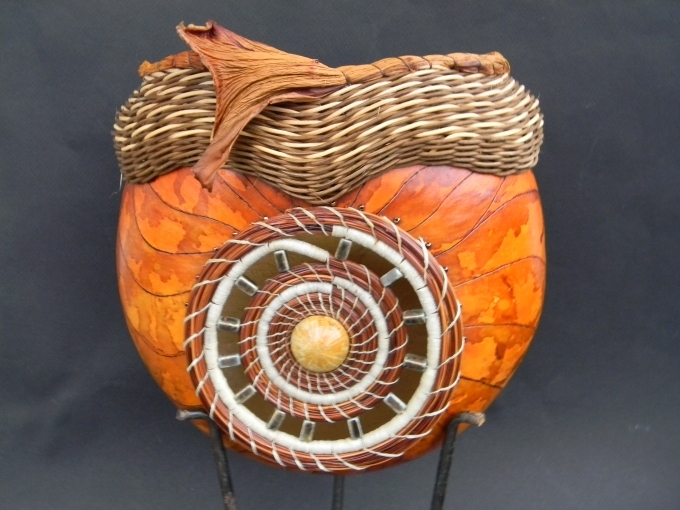 While working on the hard gourd shell you need some common supplies that are needed during the ordinary art projects like some water to clean, scrub sponge, towel, color pencils that you would actually be using during the work, and gloves with dust mask because this could be a dusty process. 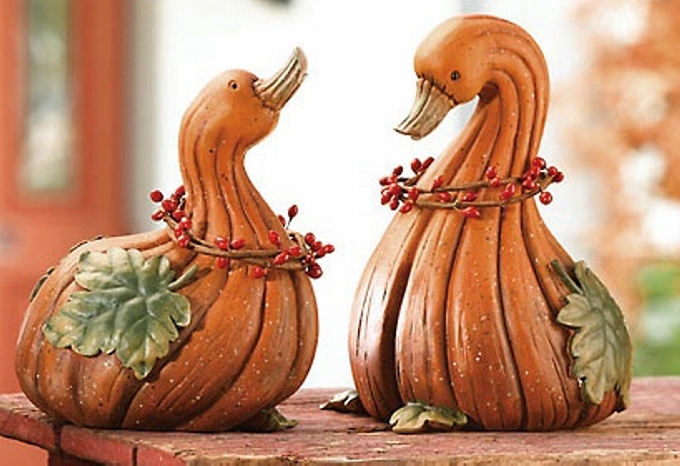 These ducks made with the dried gourd an ideal piece of art craft done with the gourd. 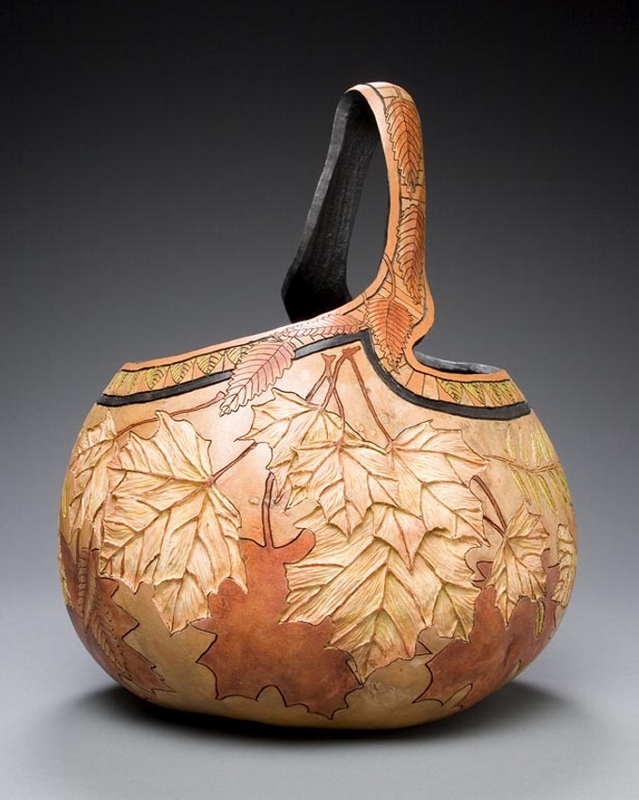 For this you would have to go through certain carving procedures to shape up the gourd like a duck, and finally you would have to draw the colors with some decent color pencils along with the eraser. 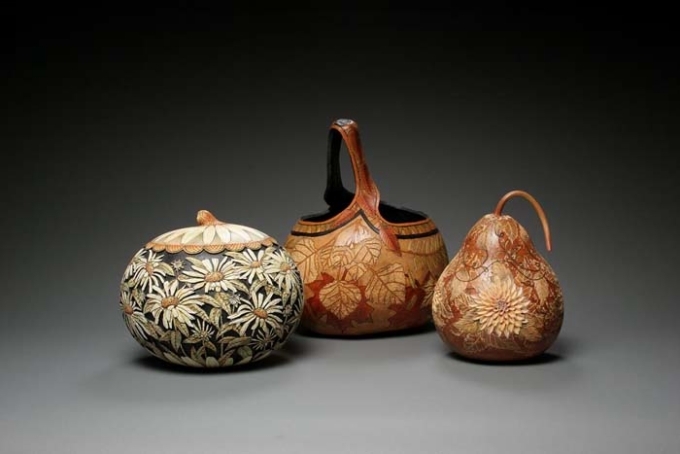 Making these traditional art crafts using the gourd would be of great use. 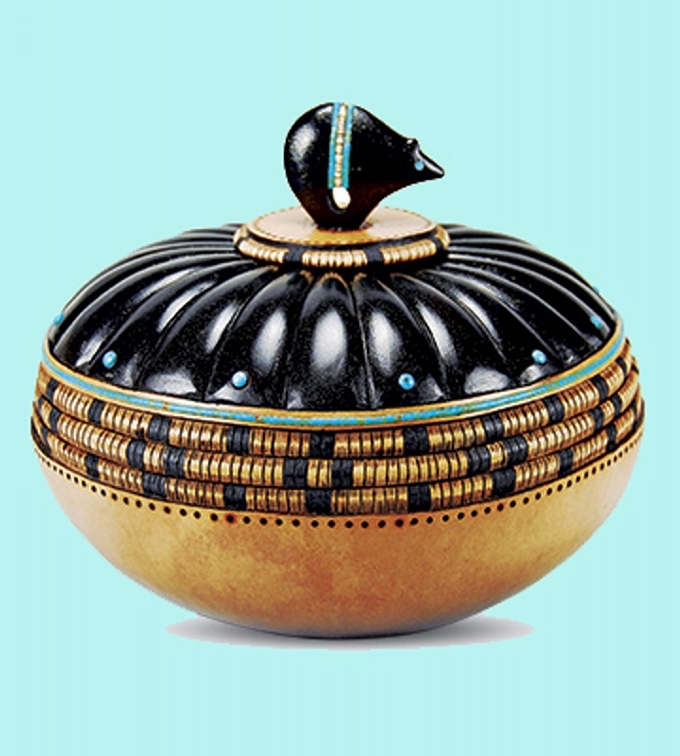 You can use them practically in the daily life affairs like using them as a mere decoration piece, or put inside some coins to make it a money vault for your kids. 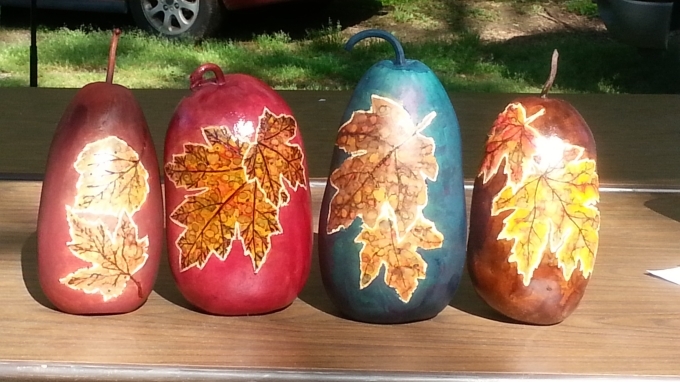 These colorful vegetable caricatures are the creation of the same gourd that we found from the market. 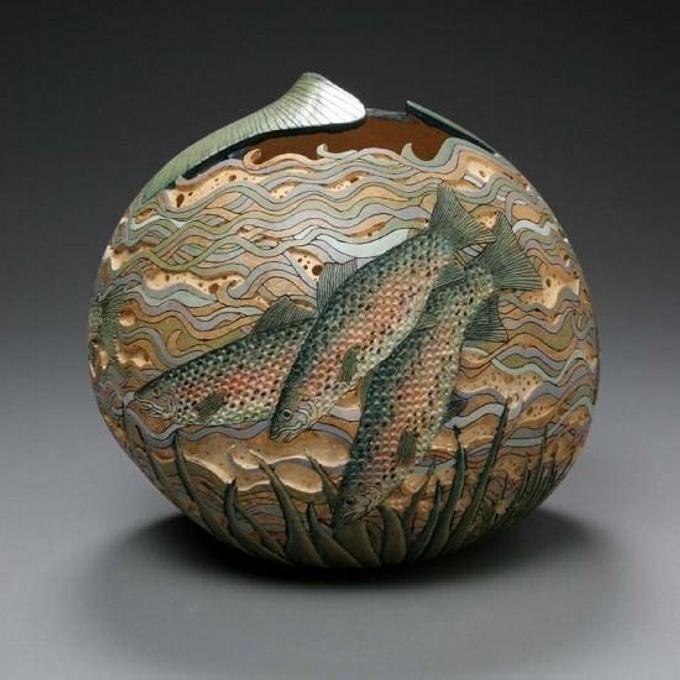 When it comes to the coloring of the surface, you are left with a number of options to use. You can also use water colors, some regular color pencils along with eraser, this would accept all kind of coloring schemes. 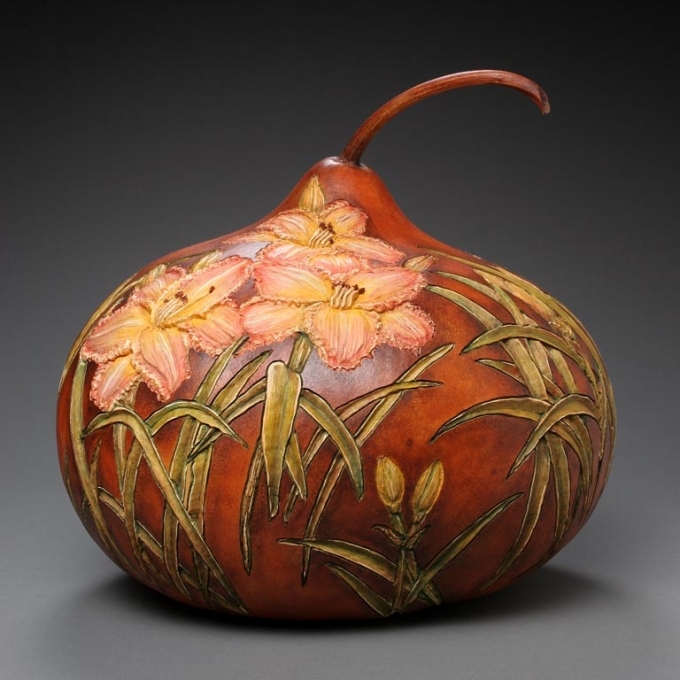 A pure decoration piece is presented here just as the basic inspiration just to show you guys that this kind of tasks can be done using the gourd hard shell. 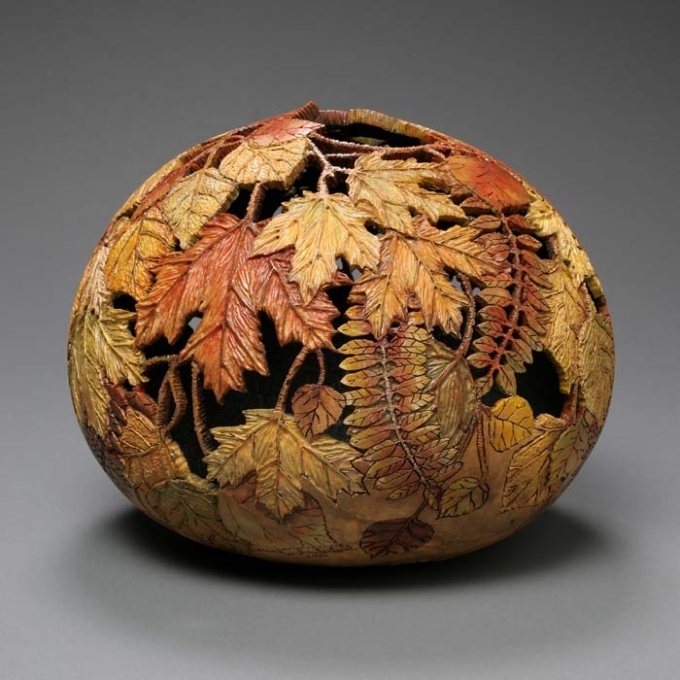 This decorative ball can be hanged inside the room or simply placed on the shelf as a perfect art craft or a mere decorative addition to your room. 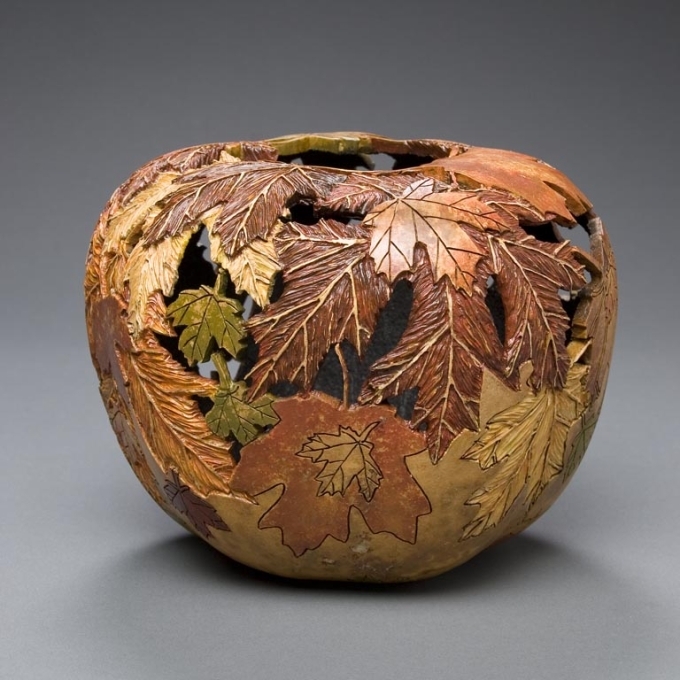 This shows that very professional kind of work is done for the finishing of the art piece, and some extra ordinary coloring techniques are employed during the process. This hand bag caricature could be a fantasy for all the fashion loving ladies but bear one thing in the mind that this could take a lot of effort and expertise as well. 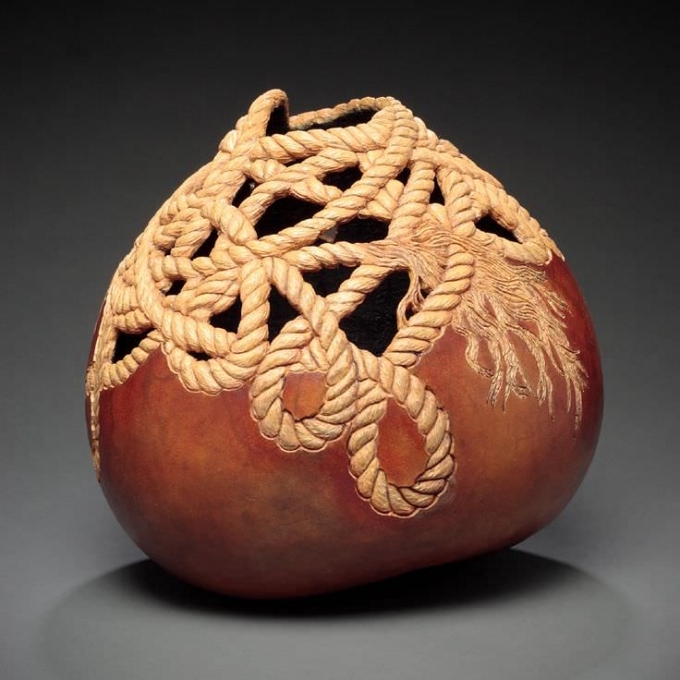 Because drawing this rope right on the surface takes a lot of carving expertise. 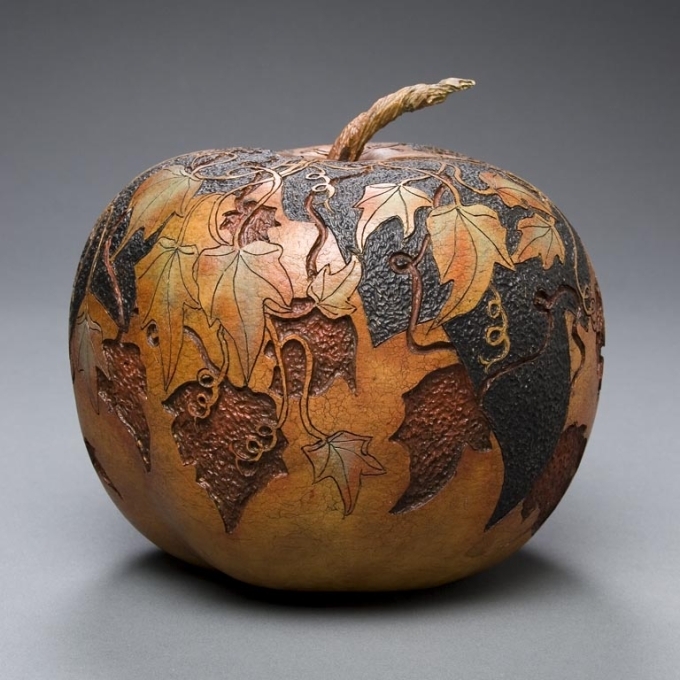 And finally this is some next level sort of gourd art creation. 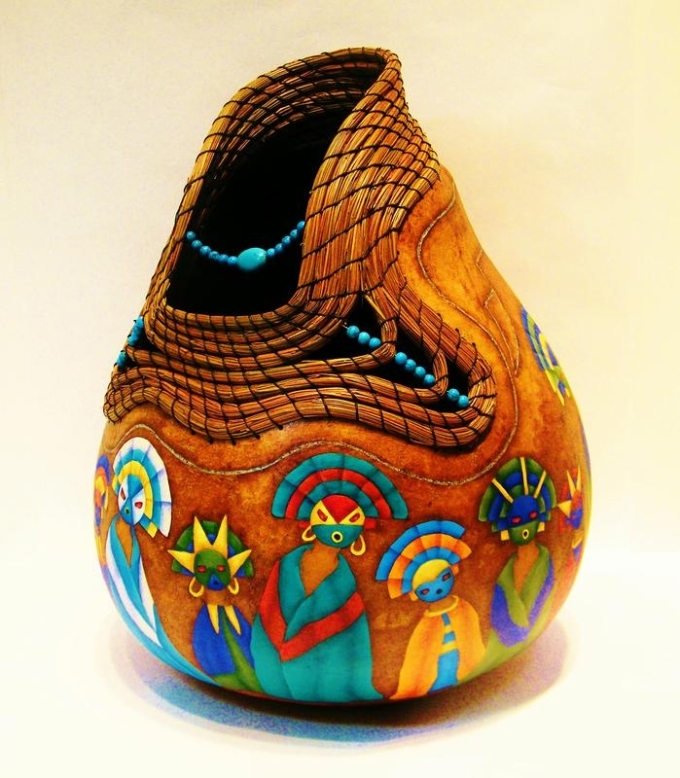 Try this after working on a number of projects done with the gourd art technique, also excel first in the finishing and sanding of the rough surface only then would it make this kind of master art craft using the gourd shell.